Things have gone from bad to worse for the UFC. Two titles were supposed to be on the line Saturday night at UFC 223. 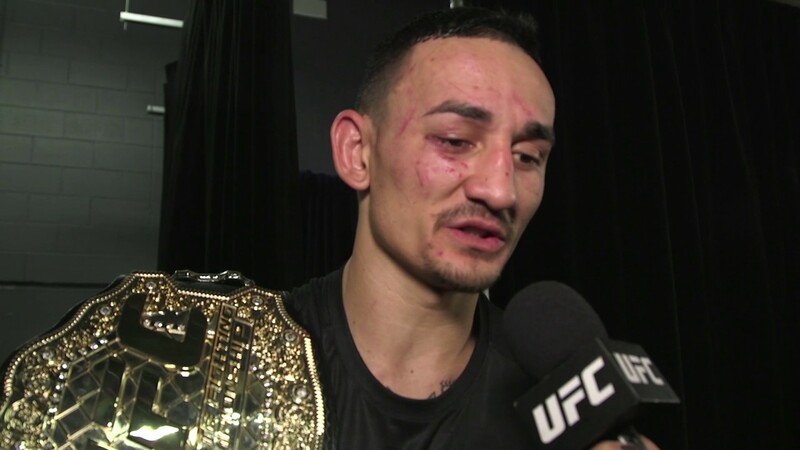 In the main event, featherweight champion Max Holloway was to meet Khabib Nurmagomedov in a battle for the vacant UFC lightweight title. Holloway replaced interim champion Tony Ferguson who was injured earlier this week. This morning Holloway was declared medically unfit to weigh-in and the main event has been canceled. Anthony Pettis who was scheduled to fight Michael Chiesa was the allowed to make weight and possibly fight Nurmagomedov for the title. He then asked for too much money and a deal could not be made. Al Iaquinta was offered to fight Nurmagomedov. The New York State Athletic Commission stated that Paul Felder was not ranked an could not be offered to fill in the spot. They then went with Iaquinta, however since he weighed in 0.2 pounds over the championship allowance, only Nurmagomedov can win the title. The soap opera that is the UFC lightweight title picture is insane right now. UPDATE: UFC President Dana White later said that the commission will not recognize the fight as a title fight for Iaquinta if he wins, however, the UFC would figure it out and that he can in fact win the title. Three other fights were dropped from the card unfortunately as a direct result of yesterday’s incident with Conor McGregor. Michael Chiesa sustained facial lacerations as a result of broken window glass after McGregor threw a dolly at the bus carrying fighters. He spent several hours in the hospital but then would not be allowed to attempt to make weight. The New York Athletic Commission called off the fight. Ray Borg complained of irritation to his eye after small fragments of glass were sent flying his way. His bout with Brandon Moreno is off the card. Lastly, UFC President Dana White removed Artem Lobov, friend of McGregor, who was involved in the incident. He was scheduled to take on Alex Caceres. UFC 223 will take place Saturday at Barclays Center in Brooklyn, N.Y. The main card will air on pay-per-view following prelims on FS1 and UFC Fight Pass.